I hope everyone had an amazing Christmas and New Year! 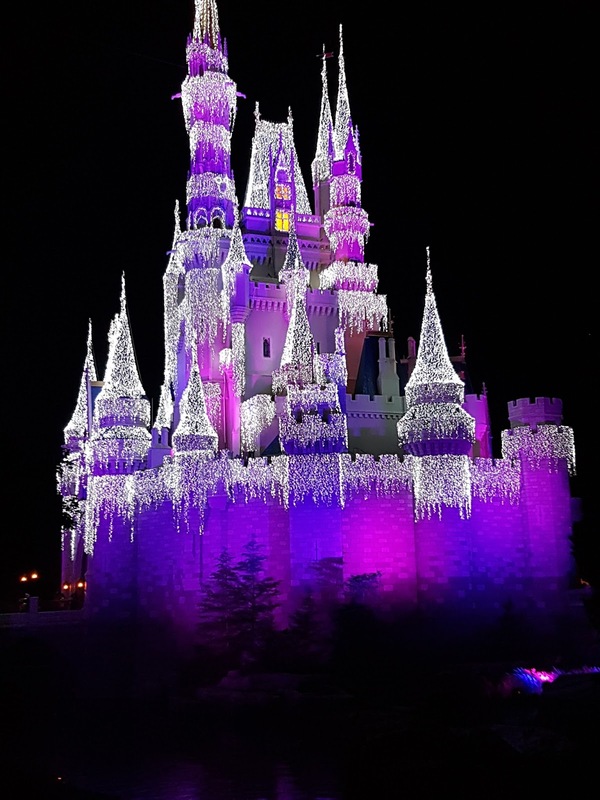 My husband and I took our five children to Disney World in Orlando, Florida and it was awesome! We went two weeks before Christmas and the timing was perfect. The weather was beautiful and there was Christmas decorations everywhere! We went to Animal Kingdom and we rode the bus to look at all the animals. I took a lot of great pictures. 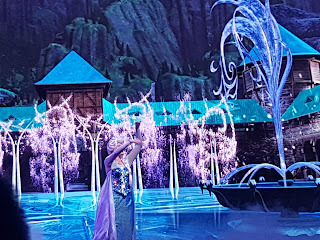 We went to Disney Springs and had a blast! There was lots of shops and an outside dance party. The music was great! My girls and I danced, and danced and danced. We went to Magic Kingdom and watched a parade and went on some rides. At night we watched the fireworks and I got a great picture of the castle. We stayed at Disney's Art of Animation Resort and they have two outdoor pools that are heated, so lots of people were swimming at night. My husband took our girls and son swimming while I stayed at the resort with our one year old daughter Kilee. We went to Epcot but our time there was cut short because Kilee ended up getting really sick, so I had to take her to a clinic. Thank goodness for travel insurance. She ended up having a chest and ear infection and needed antibiotics. The doctor said that sometimes babies just can't handle the humidity up there. Not to mention the fact that it was cold and snowy when we left and then hot and sunny when we got to Florida. I ended up getting sick too, so my husband took our girls back to Magic Kingdom while I took care of Kilee and myself. Our last night was perfect. We went to Hollywood Studios and my husband took our girls on Star Tours. 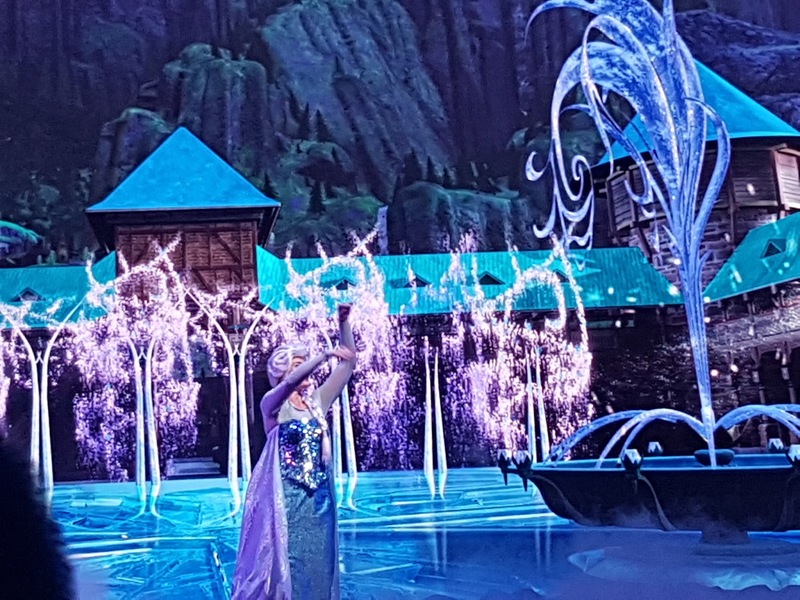 We went to a Frozen sing-a-long show, which Haylee was very excited about, and it was spectacular! We ate at this cool restaurant where the tables are cars. Afterwards, we did more rides and went shopping for souvenirs. Having more than two or three children isn't really the norm these days. When my husband and I met we said we were going to have two children. However, after we had our second child we didn't feel done. So, we decided to have another one, and then another one. Once we had four children we thought we were done, but I didn't feel done. We had one more bundle of joy, so that makes four girls and one boy. My mother is a registered nurse and she's always warning me not to have anymore children because of my age. Apparently, she knew a woman who was forty-two (I'm not forty-two) and died during childbirth. My close friends were shocked to find out I was pregnant again, but the ones who really care about me were supportive. It's really funny to see the reactions I get from people when I'm out with my children. I usually get people coming up to me saying "boy, you have your hands full!" I just smile and say "Yes I do!" Grocery shopping with all of them is challenging, but there's so many benefits to having a big family. My oldest girls are a little more independent, so they help out a lot with their younger siblings. If I have my hands full with the baby, I know I can depend on my older children to help with grabbing something for me or helping their little sister or brother with their coat. If the baby is fussy they're more than happy to sit with her and play with her to try and make her happy. They also entertain each other so they're not bored. I love having a big family because I think about the future and all the grandchildren we have to look forward to. When my husband and I are old and grey we'll have a lot of family surrounding us. I love our big family. 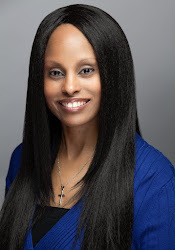 I'm a stay-at-home mother, a real estate sales representative (not active at the moment) and a children’s/young adult writer, and even though I get a little overwhelmed sometimes, I wouldn't change it for the world. 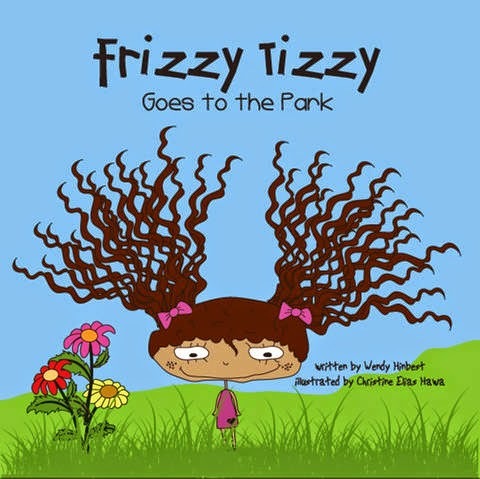 5 * Review for Frizzy Tizzy Goes to the Park! When children lose their baby teeth they start to feel like a big kid. Our six year old daughter always gets excited when one of her teeth is loose. She constantly plays with it and wiggles it until it falls out. When she lost her third tooth she came into our room in the middle of the night to tell us. She wasn't in any pain and there's already a permanent tooth growing in its place. Last night she lost the fourth tooth. She was playing with her little sister and bit down on something and it fell out. She's looking forward to a visit from the tooth fairy. Children normally start losing their baby teeth around age four. When this happens it's important to reinforce good dental hygiene. Make sure your child brushes his/her teeth twice a day and flosses at night before they go to bed. Limit the amount of sugary treats they have and schedule regular dental visits. You can also talk to your dentist about sealants to help prevent cavities. Our six year old daughter went to the dentist and got a sealant a couple of weeks ago. Taking good care of your child's permanent teeth will help them last a long time. A lot of children have a bad habit of picking their nose. Even though it's a common behaviour for children it's probably one of the most annoying behaviours to parents. Our four year old picks her nose sometimes and when my husband and I see her do it we tell her to stop. We always tell her to wash her hands immediately after and use a tissue if necessary. Recently our 20 month old started copying that behaviour and now picks her nose too. Children usually pick their nose because they have mucus stuck in there from an infection or they're just bored. Mucus contains a lot of germs and picking their nose can cause nosebleeds. My husband and I are trying to nip it in the bud. The most we can do is encourage our children to use a tissue and wait to see when they grow out of this bad habit. Children usually bite other children when they're unable to communicate their feelings. Some children bite due to behavioural issues. Our four year old is in junior kindergarten and there's a girl in her class that apparently bites other children often because she has behavioural issues. Our daughter likes to play with this little girl and has been bitten by her more than once. The teacher can't keep them apart, but she does keep an eye on the little girl and takes appropriate action. One day her teacher approached me and advised that our daughter bit a child. I was shocked because she never does that. She was obviously copying the little girls' behaviour. I talked to her teacher and she said when the other little girl bites she gets sent to the office and she thinks our daughter did it to get the same kind of attention. My husband and I talked to our daughter and told her that biting is not nice and she should always use her words. We explained to her that when the other little girl goes to the office it's because she's in trouble and biting is not acceptable. I'm happy to say that she hasn't bitten anybody ever since. If your child is biting other children talk to him/her to find out what is causing their frustration. It's important to understand the reason behind the biting so it can be stopped. If your child is being bitten by another child, make sure they get medical attention to check the severity of the bite. 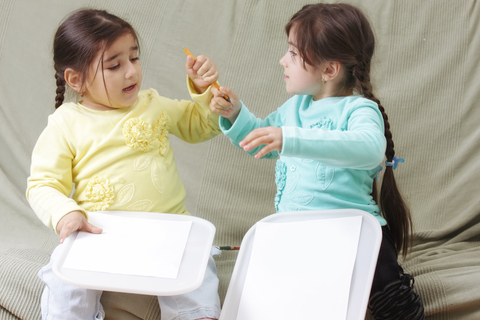 Talk to the teacher to find out why the child might be biting and find out what precautions they are taking to prevent it from happening again. 1. Take your child's temperature regularly and keep track of any changes. I prefer to use an ear thermometer because it's gives a much faster reading. 2. Give your child the recommended dosage of acetaminophen or ibuprofen to help reduce the fever. 3. Give your child plenty of fluids to keep them hydrated. Beverages with electrolytes are best. 4. Try not to put too much clothes on them, especially when they're sleeping. It's better to keep them cool and comfortable. 5. Pay attention to the way your child behaves. Sometimes even when they have a fever they still have an interest in playing and they might eat a little. When they start eating and sleeping like normal it probably means they're feeling better. My husband and I have three children and I notice our second and third child is developing a lot faster than our first. I remember potty training our first daughter was a nightmare. Our second daughter potty trained a lot faster. Our six year old is in grade one and she was having problems with her reading. She started doing Kumon and her reading has improved a lot. Our four year old daughter likes to do Kumon with her older sister, so my husband photocopies them for her and she does them too. Her reading and writing is beyond a junior kindergarten level. Our third daughter is 20 months old and she tries to keep up with her older sisters. She likes to write and colour and she has excellent pincer grasp. She climbs the stairs and says a lot of words earlier than her sisters did. I think children with older siblings develop faster because they watch what they do and listen to what they say and want to be like them. The younger children love and respect their older siblings and want to play with them so they try to keep up. 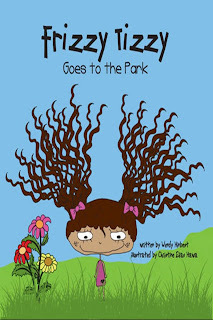 Listen to my interview on The Children Authors Show!